Rajaji National Park is situated in Uttarakhand State of India. Park has total area of 820 square kms. Park is located in Dehradun, Haridwar & Pauri Garhwal districts. Haridwar & Rishikesh are nearest cities. 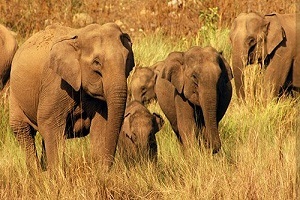 Rajaji National Park has highest number of elephants than all other national parks of Uttarakhand. 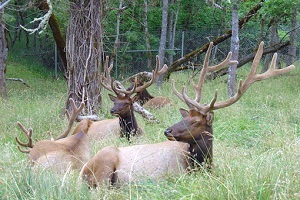 Tiger, leopard, Monkey, Barking deer, Sambar deer, Wild Boar, Antelopes such as the Nilgai & Goral are also living here. The Rajaji National Park has more than 400 bird species. Scaly Thrush, Snowy-browed Flycatcher, Rusty-flanked Treecreeper, Pale-footed Bush Warbler, Tytler’s Leaf Warbler, Green Avadavat and Reed Bunting, Northern Goshawk, Black-necked Stork, Yellow-billed Blue Magpie Greater Scaup, White-naped Woodpecker, Great Hornbill, Black-bellied Tern, Pallas’s Fish Eagle are popular bird species found here. 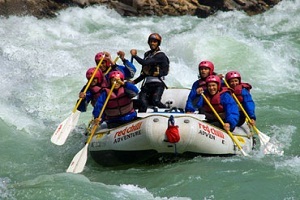 River Ganga is also important part of the Rajaji National Park. The Ganges has total 24 kms flow in the park. Rajaji National Park offers amazing opportunity to nature lovers to enjoy the beautiful landscape & wildlife. This park is the first staging ground for the migratory birds when they cross Himalayas to enter India. The Himalayan Pied Kingfisher, fire tailed sunbird & Great Pied Hornbill is some of the residents of this park. 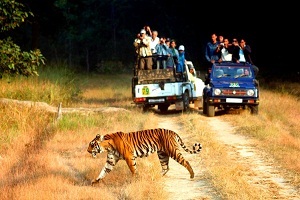 Rajaji National Park was established in 1983. Previously it was divided in 03 different sanctuaries known as Rajaji sanctuary, Chilla sanctuary & Motichur sanctuary. Rajaji sanctuary was established in 1948. Motichur sanctuary was established in 1964. Chill sanctuary was established in 1977. In 1983 government decided to merge these three sanctuaries. The new sanctuary named after well known freedom fighter & first Governor General of Independent India Raj Gopalacharya. He was well known as Rajaji, so the park is now famous as Rajaji National Park. Entry fees for Indian Visitor – Rs. 150.00 per person for 03 hour Jungle Safari at Chilla Range. Entry fees for Foreign Visitor – Rs. 600.00 per person for 03 hour Jungle Safari at Chilla Range. Additional camera fee – Rs.50 for foreigners. Movie camera fees are extra. Wildlife Jungle Safari at Rajaji National Park can be done between 15th November and 15th June every year. Total 33 kms drive in jeep passes through thick forest & lush green areas. The Jeep safari at Rajaji National Park provides opportunity to see peacocks, groups of spotted deer or cheetal, monkeys, Sambhar, Elephant & many other animals & birds. Jungle Safari or Jeep Safari is open in two ranges. Chilla Range & Motichur Range. There are two time schedules. Morning 06:00 AM to 10:00 AM is first safari & second safari time is 02:00 PM to 06:00 PM. Avoid bright color cloths. Keep silence for better chance to view animals. Shouting, teasing & chasing animals is prohibited. Do not get down from your jeep except designated points. Plastic is prohibited in park.